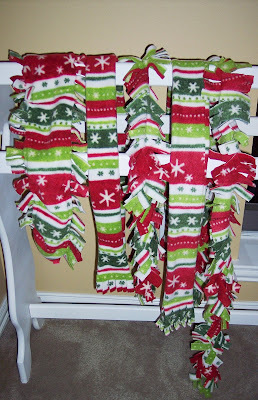 Even though I was sick and pitiful last week I did manage to get a couple of projects done. Friday the 21st I was looking forward to a week off of work - a week filled with outings, crafting, and spending a lot of quality time with my kids. It started off well - Mike and Matt got my Christmas boxes down for me so I could start decorating. Saturday around lunch Chloe and I started running fevers, and by nap time I was bed-bound. We didn't even go to church on Sunday because Bradley, Chloe, and I all had fevers. Poor Mike was trying to take care of us and stay the heck away from us as much as possible. It was wretched. 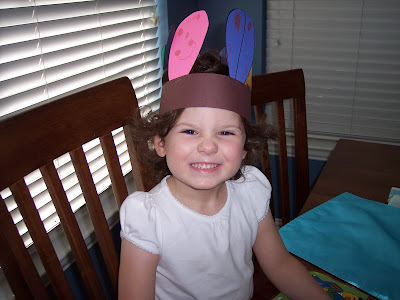 Bradley was fine by Sunday night, though, which led me to believe that Chloe and I would soon recover. Here is my 3rd Design Team entry for November. 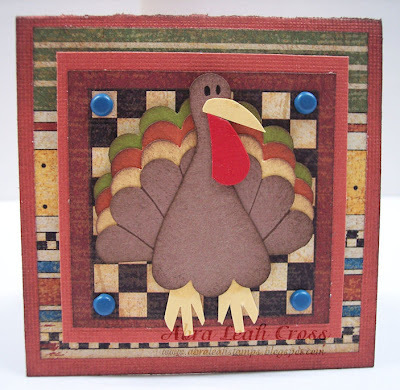 This little 3x3 card is made with Bazzill card stock for the base, Graphic 45 Designer Paper, Brads by American Crafts, SU! card stock, and the SU! scallop punch. 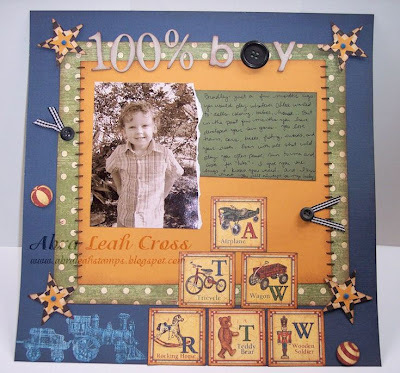 When we submit our projects for the A Scrap Affair Design Team, we have to submit at least one layout and one card. The time around I did two cards and one layout. I'll post the 2nd card later this week. In the meantime, here is the first card I made. I really like square cards - gives me more surface area to embellish. :) The paper is from the Playtimes Past Collection by Graphic 45. 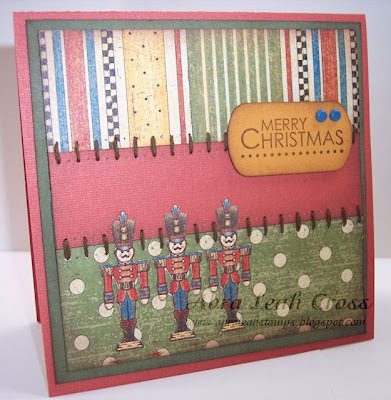 Those little wooden soldiers are actually from a piece of patterned paper - I just cut them out using my trusty SU! Paper Snips. I haven't found a better pair of scissors anywhere! The card stock is by Bazzill and the brads are Making Memories. Well, when I was a little girl my mom had a Special Day plate. It was big, and bright white with brilliant red lettering which read "Your Special Day" in a fancy script. We were allowed to use the Special Plate on our birthdays. That was it. And, boy, did we feel special when we were allowed that precious day! I had my First Fridays monthly Stamp n' Scrap at my house last night and I finished my November projects for the A Scrap Affair Design Team. I'm going to run them over to the store this weekend, so I figured I'd better take some pictures of them first! Here is my 12x12 layout. The kids and Mike carved the pumpkin on Saturday (we didn't leave it out on Friday night) and I collected all the seeds to wash and dry so that I could roast them today. 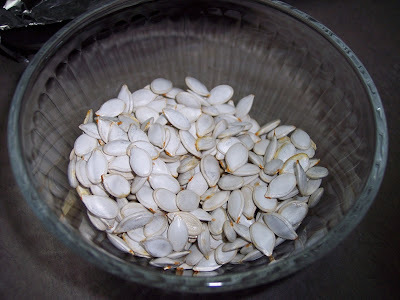 And what could be more fun than a Guess How Many Pumpkin Seeds there are contest? Your prize will be some Pumpkiney colored goodies, by SU! of course! So, here are the pics of the seeds... Leave your guess in the comments and be sure to post about it on your blog (let everyone get in on the prize!). The contest will end Friday November 7th at 8pm. I will announce the winner on Saturday. Whoever gets closest to the number without going over will be the winner.